Balloon making/twisting & Centerpieces ! NO DISNEY, Star Wars, etc. characters, & NO LICENSED Characters etc. 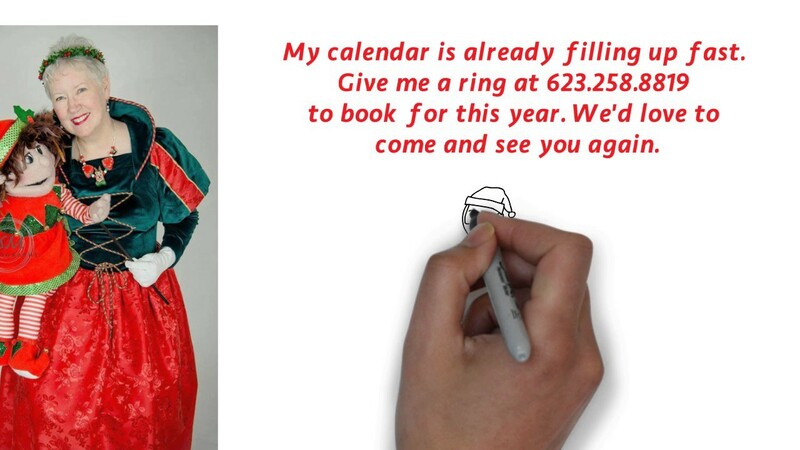 Traditional Mrs. Claus OR an Entertainer Mrs. Claus??? I do both. This was a wonderful experience for our preschoolers and graders. The Magic Show held the attention of all of the children. It was exciting to see the children participate in the show. Thank you very much! Thank you for taking the time to post a Review on my page. You are the cream of the crop! You had a fantastic group and I thoroughly enjoyed my time with you. Nora, I would like to thank you for your show on my kids second birth day party.Kids enjoyed every moment with your presence. Thank you SO much for taking the time to post a review. I enjoyed your children and the adults in your party. Your party was a dream to work with and perform for. Thank you for the opportunity to serve you. Big Hit for our holiday party. In my absence, Santa was a perfect filler. Thank you for taking the time to post a nice review. Merry Christmas! Santa Joe was amazing!!!! Can't wait to use him again next year! Santa Dana filled in when another Santa backed out the night before. Very Happy. Everyone was impressed! 5 Stars! We hired Santa Dana & Crystal Claus for Xmas Eve at our house. It was wonderful. Everyone is still talking about it. All our guests had a great time! Santa gave each child 1 on 1 time for a photo, as well as the adults. We sang songs and read a story. Really great time. Thank you!!!! HIGHLY recommended! We will see you next year. Thank you for the kind review and taking the time to do that for our page. We whole heartedly enjoyed our time with you and your family. Thanks much Shawna ! Pennalou - not a clown, magician, ventriloquism, etc. 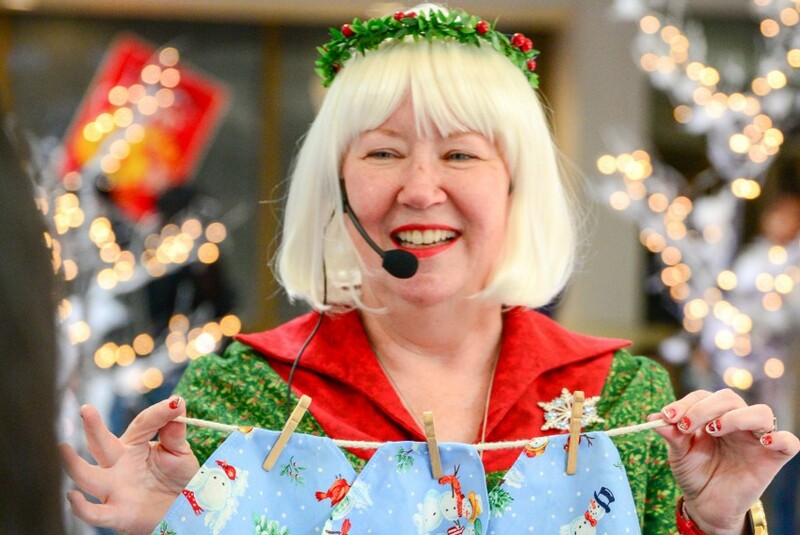 Crystal Claus or Mrs. Claus are professionally trained, including C. W. Howard Santa School and many workshops. Over 20 years experience. Over 30 years as a Performer ! 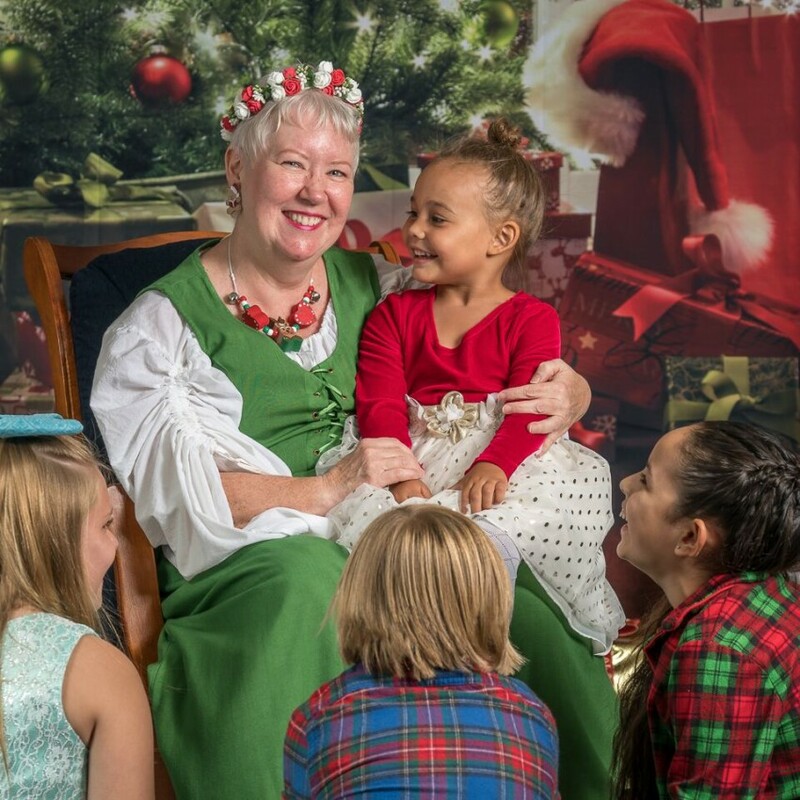 Mrs. Claus has worked at North pole experience, Metro Center Mall (the last 2 years), Libraries, Hotels, Resorts, Daycare, Nursing homes and has made many Home visits. Yes I have a Santa to work with. Crystal Claus is Santa's daughter and is available separately when needed. She can perform a Christmas MAGIC show and storytelling/ VENTriloquism with Jingles the elf puppet. 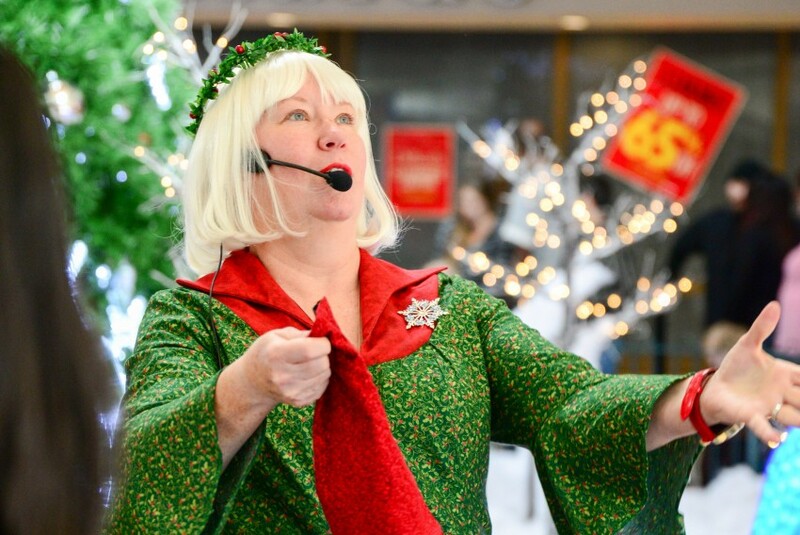 PENNALOU is available year round to entertain with Magic, Storytelling/VENT. and Singing. MAGICAL STORY TELLING ! MAGIC + STORYTELLING ! What a fantastic combination ! Will perform in radio and TV commercials. Speaker and teacher at workshops etc. Can provide educational discussions about Santa, both history and anecdotal stories. Can provide educational instructions on HOW to become a Clown or How to twist a balloon! 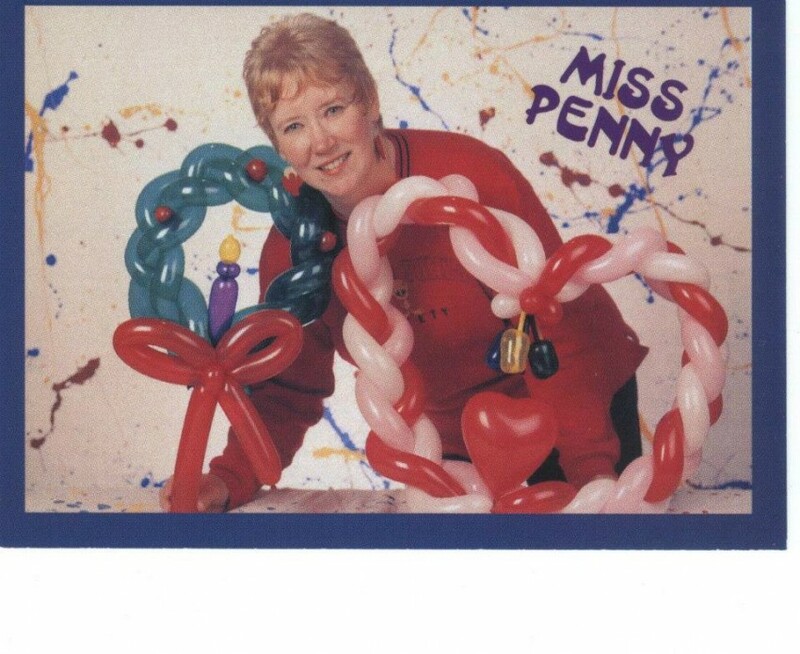 Pennalou …Mrs. Peter Cottontail….Santa and Mrs. Claus are loving, enthusiastic folk who focus on giving each child a Cherished Memory Moment. WORKING on Mother Goose Character. Your Choice of Character can perform a Magic show, Ventriloquism, tell a story, lead singing, give out gifts, be in your photo . Magical Storytelling combines magic and storytelling ! Insured with background checks. Over 30 years experience and teach at workshops. For stage shows - need a Headset mic , NOT a handheld mic. For Mother goose and other storytelling Characters - need a chair to sit in. For Balloon twisting - need a chair for Balloon equipment. December 14, 2016 • 10:30am - 11:30am El Mirage Library "Crystal Claus"
Ventriloquist conVENTion, Balloon conventions, etc.